Thank you to everyone who helped us buy the desks for this year…it was awesome to have all your help! School starts next Monday…we do still have other needs at the school, if you are interested in helping click here to see the list. We were able to buy all the desks needed for the Third grade classroom plus some extra smaller desks for our First and Second grade classes that have had such a high demand that we made room for more students (our teachers don’t like to say no!). Club Esperanza: Can you help us buy a school desk? This year we are opening another level of Elementary school! Last year, many people helped us buy 2nd Grade desks, this year would you help us buy desks for the new 3rd Grade classroom? We need 35 desks in total. We are excited for the school year and to be able to offer another classroom for the families in our neighborhood. The classroom is almost fully remodeled, and now it is time to buy desks. As you can see in the video I took the kiddos to find out if they had enough desks at the metal shop…they did! Each desk is $31 (I was wrong when I said $33 in the video)… Maybe you can buy one this year…or maybe buy two….or buy ten 🙂 We love your all’s support! For our new 3rd Grade classroom. **If PayPal is not available for you, we have other donation options here. Ruby Ranch: Pennsylvania Mountain Bikin’! Video: On Your Mark, Get Set, Go! We had a group of guys down from Pennsylvania last week and they spent the weekend out at Ruby Ranch. Our really good friend Scott brought down his friends from a Mountain biking club and he teamed with Brinson to put together an awesome race for kids at Ruby Ranch. It was an awesome couple of days! Club Esperanza: January Projects for 2019 School Year! The 2019 school year is almost upon us, can you believe it? (In Nicaragua the new school year starts in February) During the month of January we will be getting everything ready to receive all of our students from last year and some new students as well, nearly 300 in total. I went to Club Esperanza last week with the plan to dream about the future, ways to use the new land, getting new building built, etc… There are so many big things to dream about! But you know what comes first…”the little projects”…there are many things that need to be done to make the school great for our students THIS YEAR. We hope that you and your family have a wonderful and blessed New Year! 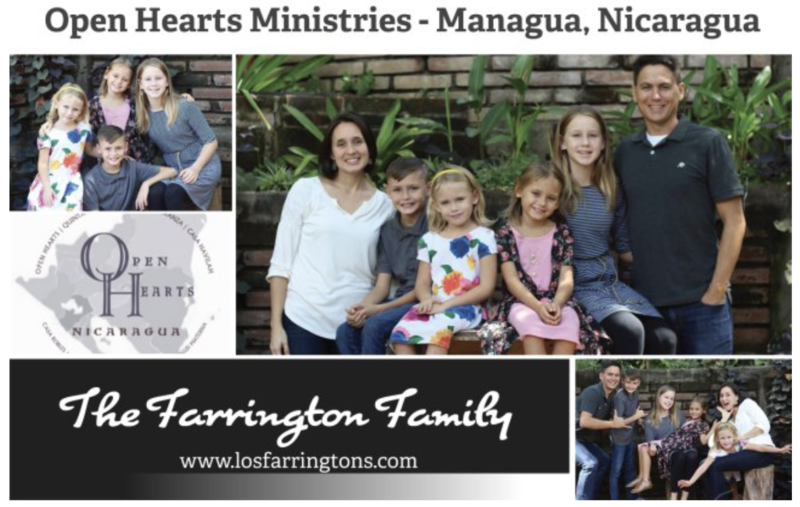 This is our prayer card that we mailed out this year and we hope it gets on lots of our friends and families refrigerators 🙂 We really do love and appreciate the support for our family as missionaries here in Nicaragua and to know that hundreds of people who love us are praying for us is the greatest encouragement we could ask for! Amen. 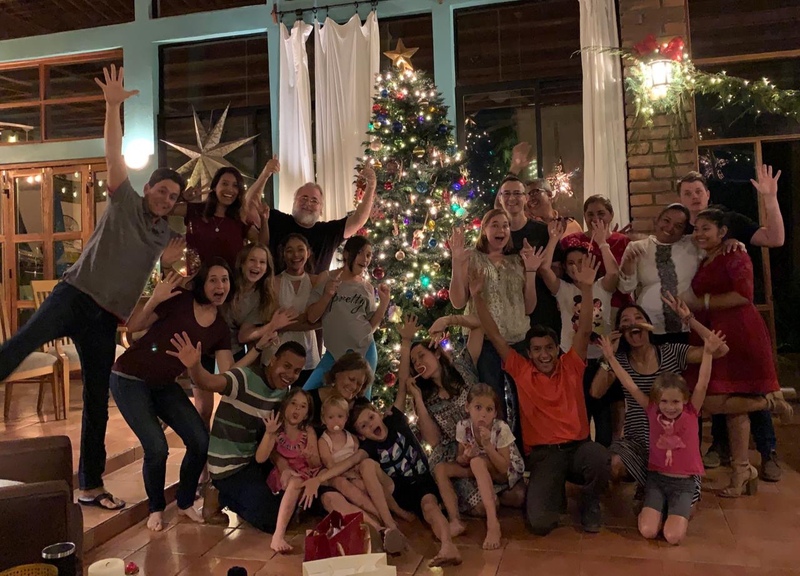 Merry Christmas from Club Esperanza! As we celebrate the birth of Jesus Christ this year we are leaning even more into our Saviors arms. We are asking God to put 2018 in the rear view mirror and make this coming year a better one! 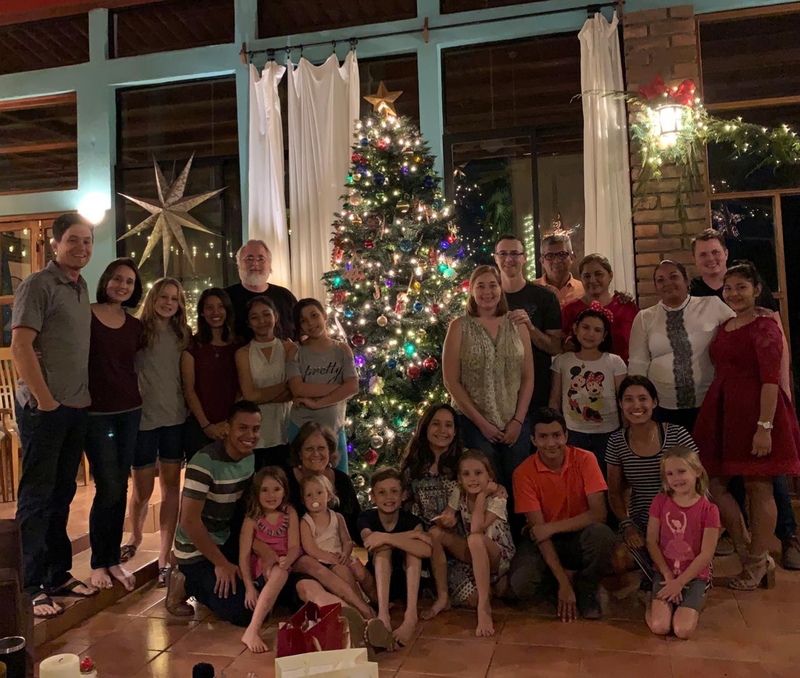 We bless you this Christmas season and thank you for your support and prayers here in Nicaragua. Would you consider supporting us financially?